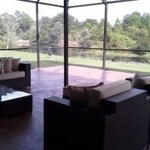 Military Listings - 16430 Bridgewalk Dr.
Gorgeous Fishhawk home with no backyard neighbors. From the moment you walk in you will feel at home with the wood floors, stacked stone front fireplace and huge lanai that overlooks a pond. 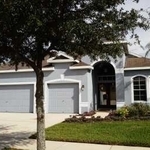 This 4 bedroom plus den, 3 bath, 3 car-garage home offers lots of space for everyone. The split bedroom floor plan gives everyone some privacy. The master on one side boasts its own bath with large soaking tub and separate shower stall and built-in closet organizer in master walk-in closet. The hall on the other side of the home has a separate bedroom with its own private bath then two more bedrooms which share a large bathroom with double sinks. 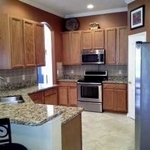 The beautiful kitchen has granite counter tops and stainless steel appliances. The kitchen range is electric but is plumbed for gas. 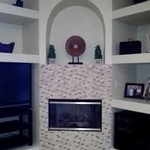 Enjoy the many upgrades from crown molding throughout the entire home to recessed lights and over-sized 25’x39’ lanai. Even the garage has an epoxy floor coat and added 220 electrical outlet. Call today to view your new home.